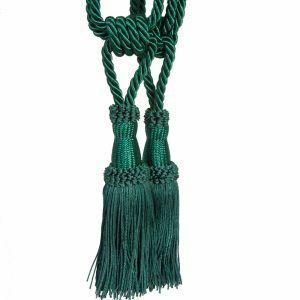 A luxurious emerald green curtain tieback with an intricate gold head and a heavy skirt of silky threads. 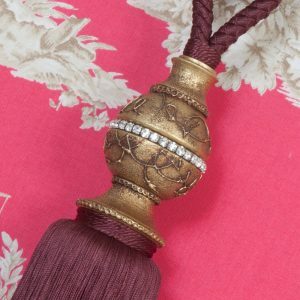 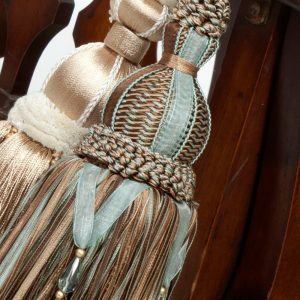 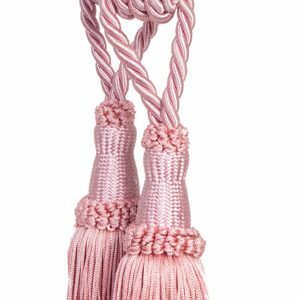 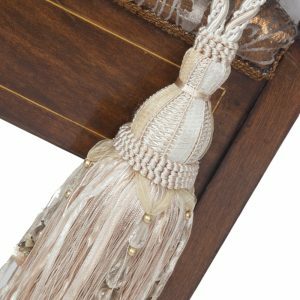 Matching key tassels are also available. 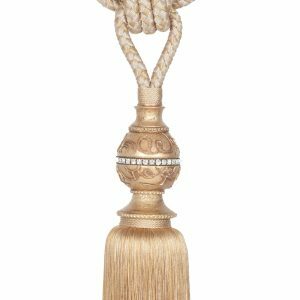 NB: Price shown is for one, single tieback.